Luxury Live Auction! Bidding to start from $1,499,000! 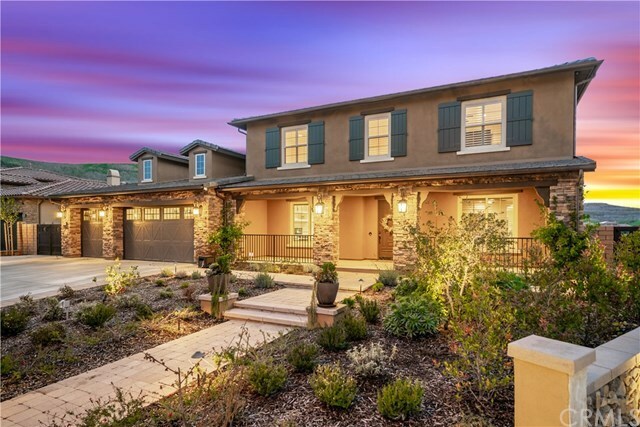 This immaculate Rancho San Juan home is designed to perfection & located in the prestigious Mirador community on a luxurious cul-de-sac that is single loaded within a generously scaled development. The front of the home is meticulously landscaped to highlight the desert-themed architectural design. As you approach the property, the beautiful exterior appeal is just a hint of the beauty that awaits inside. The interior boasts an open floorplan & luxurious high-end finishes pulling together every detail from high end flooring to wall fixtures & luxury appliances. Residence 5 floor plan includes 6 beds, 6 baths, private casita, outdoor entertaining space with TV, fire pit, & pool. Also included is a game room, private gym, large open kitchen, butlerâs pantry, & formal dining area. This uniquely-designed floor plan creates the perfect indoor/outdoor entertainers dream w/ approx. 4,948 sq. ft. of living space atop a 13,000 sq. ft lot! Upon entering the back yard, you are greeted by breathtaking views of the luscious hills & beautiful custom pool! The backyard also plays host to a spacious BBQ, pizza oven, & custom beer tap for those warm summer nights. Itâs truly the perfect mix of architecture, landscape, custom stone work, unique water features, & space.